Kraken Rum was launched in the UK in 2010, and were lucky enough to get it in the states shortly after. 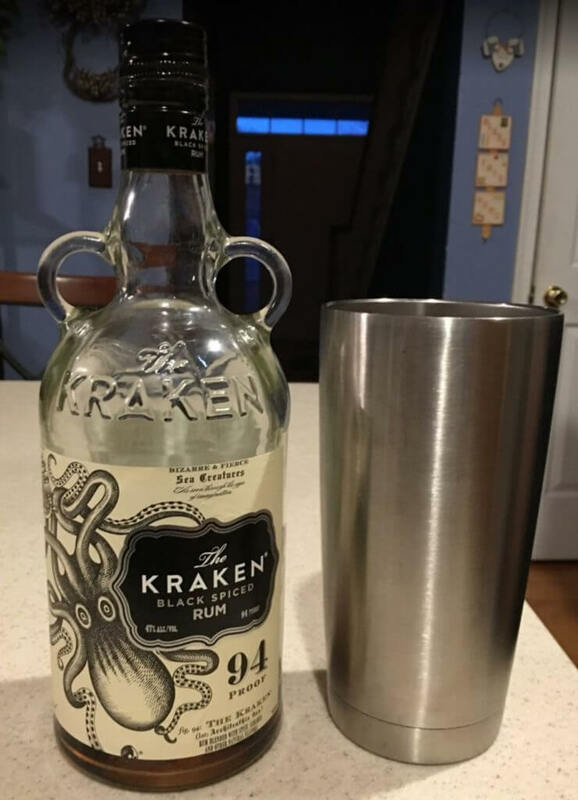 My brother and my wife both love Kraken, although for different reasons. My brother drinks it with root beer and my wife likes the more traditional Kraken and ginger beer. They are actually the two that drank most of the bottle I polished off tonight. I don’t do mixers. So whenever I score anything, I score it neat or over ice, and find that many alcohols open up nicely when poured over a chunk of ice. This is important because I think Kraken would easily score an 80/100 as a mixer, but as a sipper, it scores a bit lower at a 64/100. For me, this is a better mixer than a straight sipper. A little too much burn and overpowering spice for straight sipping.